One day you notice that it requires much more pressure to active your vintage synth functions. As amazing as it may seem, the foot switches on the early GR-100/300/33B/US-2 and the GR-700/GR-77B are basically identical. They use identical components on the inside, with only the outside shell being different. The foot switches in the vintage Roland synths have three components: the outer cover that your foot touches, an inner metal diaphragm, and a delicate pushbutton. 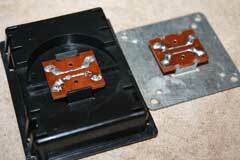 If you are having problems with your foot switch, you need to determine what has failed. 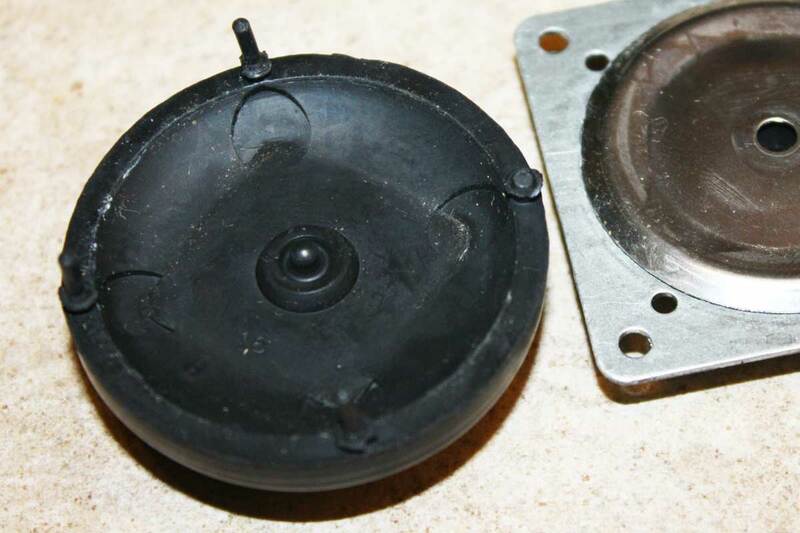 A lot of the mechanical pressure you experience with the foot switches does not come from the actual switch, but from the metal diaphragm that protects the actual switch. 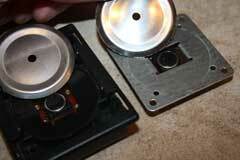 Still, even with the protection of the metal diaphragm, the tiny internal switch can still fail. 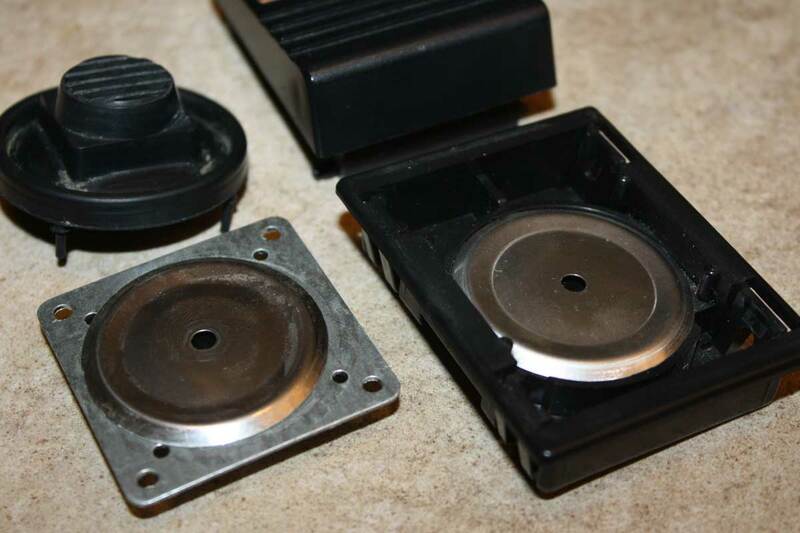 GR user Robert Bordeleau, of Studio Robert Bordeleau, reported that he was able to get intermittent GR-700 pedals to work by simply spraying contact cleaner behind the sticky switches. He did not need to remove them. This would be worth a try before going to the trouble to pop out the GR-700 foot switches. 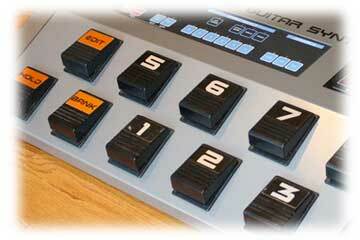 On the Roland GR-100/300/33B the switches are not too hard to disassemble. 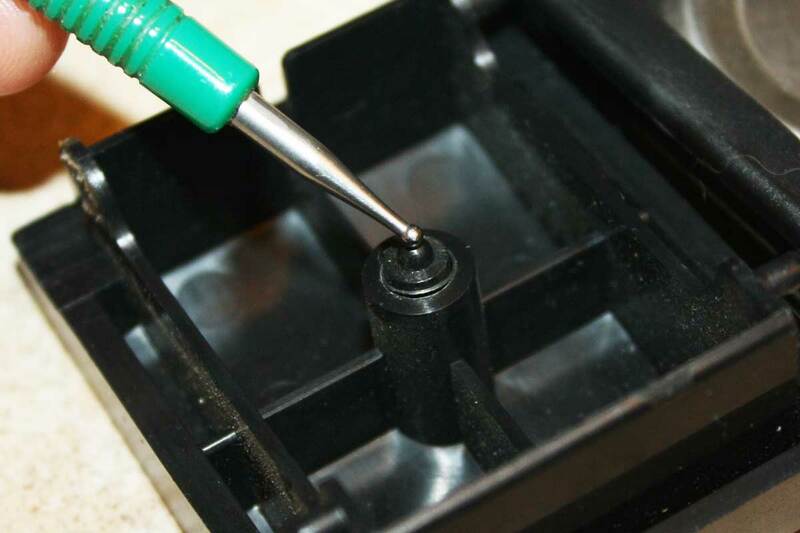 I use a pointy soldering tool to push in the rubber pins/legs that hold the large rubber foot switch cover on the GR-100/300/33B/US-2. The GR-700 switches take a little bit more work. You can open up these switches by pushing the plastic clip of the shell away from the inner plastic pin. Be careful though, the plastic pin on the GR-700 can break easily. If you find a GR-700 with a lopsided foot switch, this is usually because the plastic pin is broken. You can see that if excessive force is used on these tiny switches inside the assembly, it would not be hard to break the actual switch mechanism. The switch is really designed to be touched, and not stepped on. 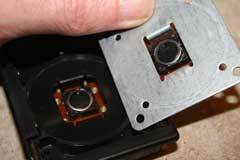 In fact, the membrane switches in the GR-700 top panel use a nearly identical mechanism. The GR-700 pedal has a tiny, spring-loaded tip in the foot pedal cover. By contrast, the GR-100/300/33B/US-2 relies on the large rubber block to absorb some of the mechanical force of pressing on the switch. Given the fact that the actual switching element is very protected from any outside corrosion, the is little to no benefit from using contact cleaner on the mechanism. If you want to try some contact cleaner, you can spray a very small amount in the back of the switch. If the switch does not work better after one application, resist the urge to unload the entire can! Something like Caig Deoxit is a bit like an aerosolized petroleum based cleaning agent. You certainly would not want to soak a delicate switch in paint stripper! 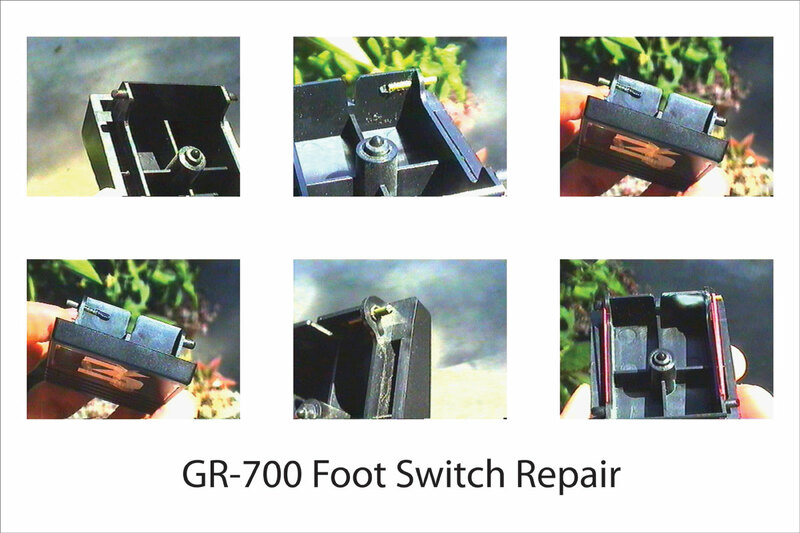 The last photo below shows an early repair I did to a damaged GR-700 foot switch. After drilling out the broken pin, I used a soldering iron to heat a small bit of coat hanger wire, then pressed that into the pedal, replacing the broken plastic pin. I added a small bit of epoxy the next day to help reinforce the replacement pin. This is a fairly difficulty and time-consuming repair. However, Roland no longer has replacement foot switches for the GR-700. From time to time, I may have spare GR-700 foot switches from repairs, so feel free to send me an email. 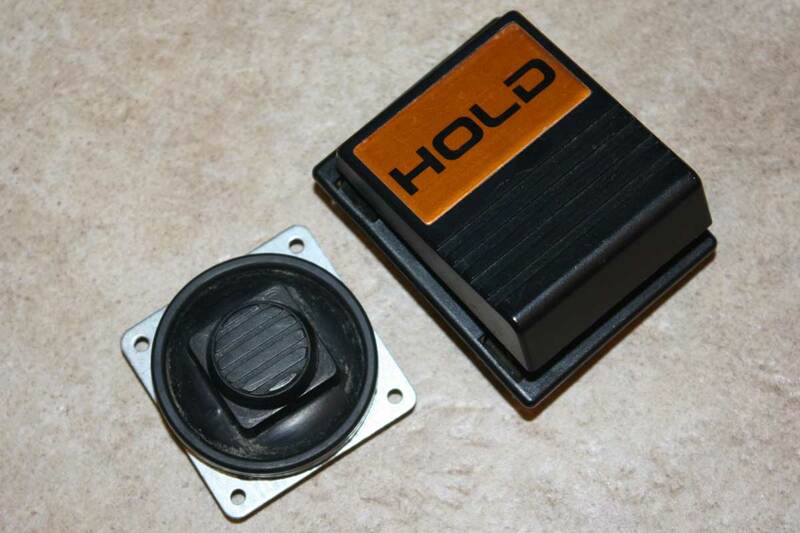 Incidentally, the replacement pedals from Roland shipped without the labels, such and number or "HOLD," etc. You will reheat the solder that holds the wires to the switches with a soldering iron. 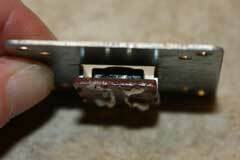 You may need some fresh solder to help the joint to soften. After you have the wires off, you need to remove the pedal itself. This is the hardest part. Start with one of the plastic tabs and gently push the tab in. You do not need to push the tab in all the way. While holding the pedal in position with your free hand, do the same with the opposite tab as shown in the video. By alternating between the tabs you can gently work the pedal out.